... she died at a St. Louis hospice of complications from a heart attack suffered in early December. Bass had also suffered a series of strokes over the past seven years. Born on July 3, 1840, she was 72-years-old when she died. Fontella Bass was born in St. Louis, Missouri, the daughter of gospel singer Martha Bass who was a member of the Clara Ward Singers. At five years old, Fontella accompanied her grandmother's singing on the piano at funeral services; she sang in her church's choir at six years old and by the time she was nine she was accompanying her mother on tours. Fontella continued touring with her mother until the age of sixteen. As a teenager, Bass was attracted by more secular music. Throughout high school she began singing R&B songs at local contests and fairs. At seventeen, she started her professional career working at the Showboat Club near Chain of Rocks, Missouri. 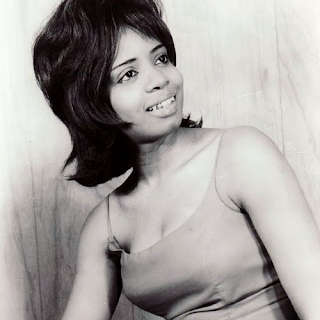 In 1961, she auditioned on a dare for the Leon Claxton carnival show and was hired to play piano and sing in the chorus for two weeks, making $175 per week for the two weeks. She wanted to go on tour with Claxton but her mother refused and according to Bass "... she literally dragged me off the train." It was during this brief stint with Claxton that she was heard by vocalist Little Milton and his bandleader Oliver Sain who hired her to back Little Milton on piano for concerts and recording. Bass originally only played piano with the band, but one night she was asked to sing in an emergency, and was soon given her own featured vocal spot in the show. Milton and Sain eventually split up and Bass went with Sain; he also recruited male singer Bobby McClure and the group became known as "The Oliver Sain Soul Revue featuring Fontella and Bobby McClure." With the help of Bob Lyons, the manager of St. Louis station KATZ, Bass recorded several songs released through Bobbin Records and produced by Ike Turner. She saw no notable success outside her home town. It was also during this period she met and subsequently married the noted jazz trumpeter Lester Bowie. Two years later she quit the Milton band and moved to Chicago after a dispute with Oliver Sain. She auditioned for Chess Records, who immediately signed her as a recording artist. Her first works with the label were several duets with Bobby McClure, who had also been signed to the label. Released early in 1965, their recording "Don't Mess Up a Good Thing" found immediate success, reaching the top five at R&B radio and peaking at #33 at pop. In 1979 the song was covered by Ry Cooder with Chaka Khan on Cooder's album Bop 'Til You Drop. Bass and McClure followed their early success with "You'll Miss Me (When I'm Gone)" that summer, a song that had mild success, reaching the Top 30 on the R&B chart. When Bass returned to the studio, she recorded an original composition with an aggressive rhythm section; backing musicians on the track included drummer Maurice White (later the leader of Earth, Wind, & Fire), bassist Louis Satterfield and tenor saxophonist Gene Barge, with the young Minnie Riperton among the background singers. The song "Rescue Me" shot up the charts in the fall and winter of 1965. After a month-long run at the top of the R&B charts, the song reached #4 at the pop charts and gave Chess its first million-selling single since Chuck Berry a decade earlier. It sold over one million copies, and was awarded a gold disc. er only album with Chess Records, The New Look, sold reasonably well, but Bass soon became disillusioned with Chess and decided to leave the label after only two years, in 1967. By her own account, she was cheated out of her royalties for "Rescue Me" which she had co-written with pianist Raynard Miner. Fed up with the mainstream music scene, she and husband Lester Bowie left America and moved to Paris in 1969, where she recorded two albums in 1970 with the Art Ensemble of Chicago – Art Ensemble of Chicago with Fontella Bass and Les Stances a Sophie; the soundtrack from the French movie of the same title. "Theme De YoYo" to remain an underground cult classic ever since. 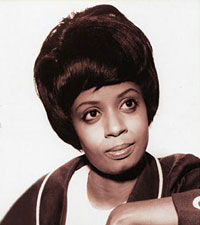 Even with the success of "Rescue Me" it was many years and much litigation before Bass would be credited with her share of the songwriting and the royalties. The next few years found Bass at a number of different labels, but saw no notable successes. 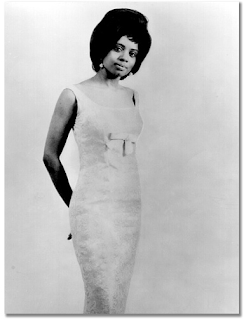 After her second album, Free, flopped in 1972, Bass retired from music and concentrated on raising her four children. 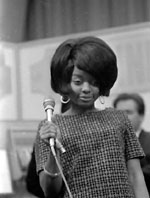 She returned occasionally, being featured as a background vocalist on several recordings, including those by Bowie. In 1990 she recorded a gospel album with her mother and brother David Peaston, called Promises: A Family Portrait of Faith. Also during the 1990s she hosted a short-lived Chicago radio talk show, released several gospel records on independent labels; through old friend Hamiet Bluett, she was invited to perform three tracks on the World Saxophone Quartet album Breath of Life. Fontella is a member of the St. Louis Walk of Fame.